As soon as I saw it, I knew I had to try it. 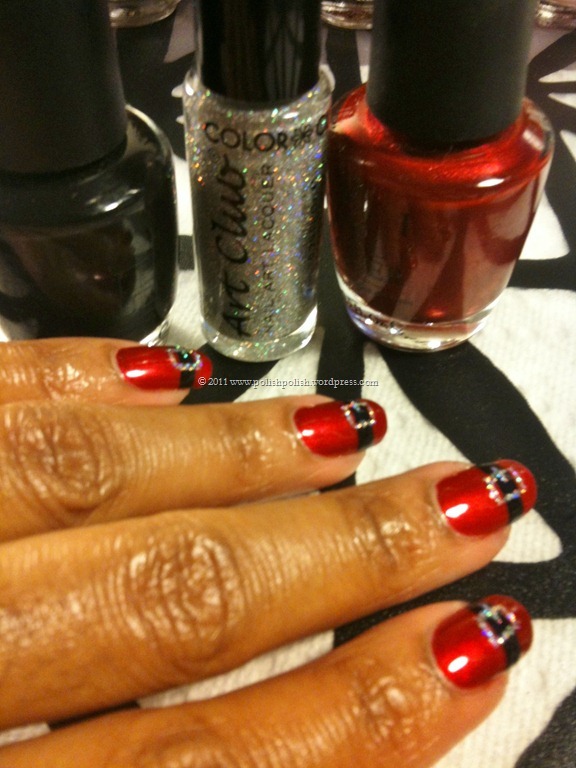 So, I used my favorite… OPI “I’m Not Really A Waitress”… striped OPI “Black Onyx” across and made a “Glitter Hologram” buckle…. I absolutely love this design. So fun! 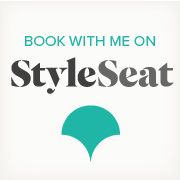 Really may work for any time of the year – if you’re a diva…. it’s all in the context. 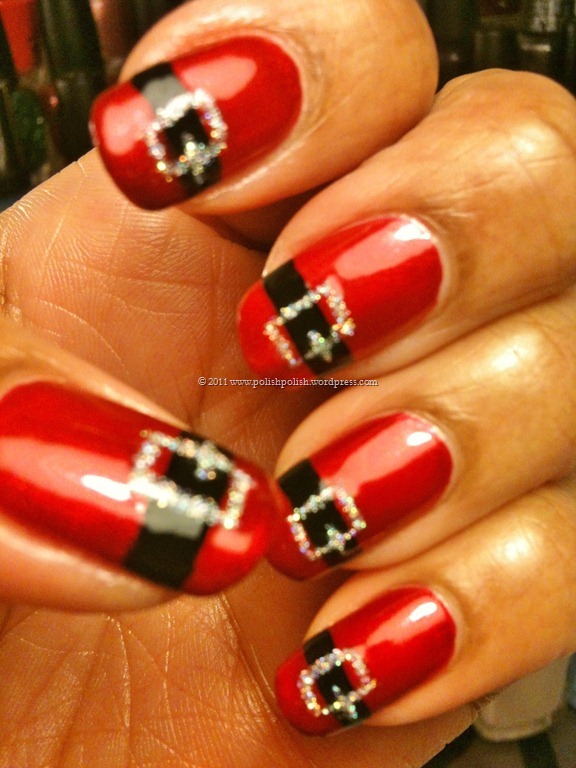 Because it’s almost December 25th, we’ll just say this is holiday nail art. 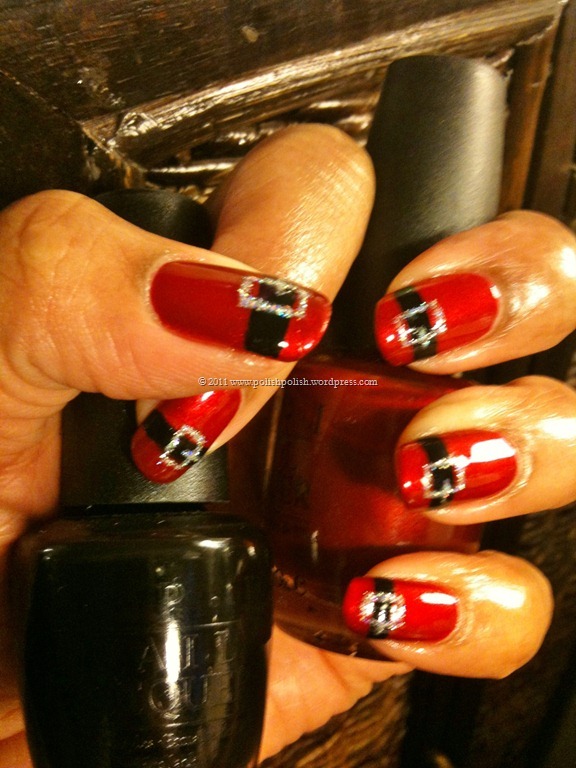 This entry was posted in Color Club, Nail Art, OPI and tagged black onyx, glitter, holiday, hologram, i'm not really a waitress, nail art, santa, santa's belt. SO CUTE! I really love it! Nice work! 🙂 Thanksgiving is just days away! You must show me your results! 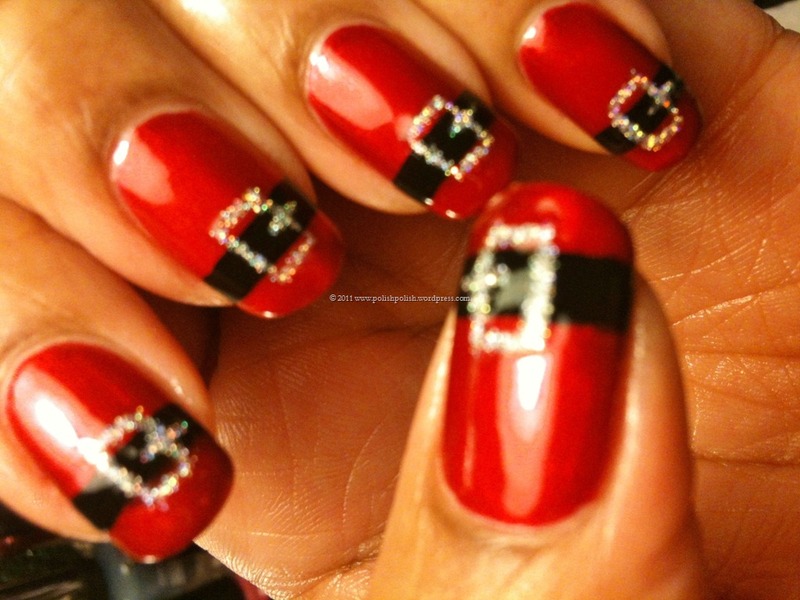 I would LOVE to see the finished manicure!!!! What is a Glitter Hologram buckle? & how did you do THAT? Cheryl, do you come up with the names after you’re done or do you name them before you start and then proceed? I love these! Are they gel? I have been learning to do gel polish but can’t figure out how to do designs. is less expensive than the three other types of garage doors. Search the safe for some more credits before you go.